People have to pass from bad conditions due to his work. Sometime you have to face for long time. You face problem for long time as you do not know the reason and its remedies. It is known as curse. There are several types of curse which occurs due to different reasons. 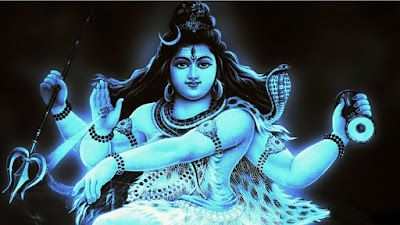 You can get rid from any curse by worshiping lord Shiva. When Rahu’s condition is not favorable then it indicates that you are suffering from any curse. Curse occurs when there is conjunction of Saturn-Sun and Saturn-Rahu. If you have mole in the middle of the palm then it indicates that you are suffering from curse. Many people face problems because they do not handle their responsibilities. You face curse when you cut green trees and you use due to your selfish nature. People also get curse when they do abortion especially a baby girl. If you cheat your wife, husband or friend then also you get curse. You get curse when you do not follow your idols order and disrespect him. You have to handle your responsibilities in proper way. You have to donate medicines in the hospital and serve the patients. Wake up before sunrise and seat in front of lord Shiva and chant “Om Namo Bhagawate Rudaray”. Do not eat grains on Monday. You have to do fast and eat fruits and drink water on Monday. Plant such trees which have long age, to get rid from curse. Plant more and more trees. Offer water in these plants every day. Do not waste water. Chant “Om Gangadharay Namah” mantra 108 times every morning. When you do abortion then you get curse. In this case, you have to go at any Jyotirlinga and stay there for one month. Offer water and Bel patra every day. You can chant “Shiva Apradh Kshama Strot”. Take responsibility for poor girls to arrange their marriage. You have to say sorry to your idol when you don’t follow their orders. You can guide other people about the way of intelligence and absolution. Worship god in the morning, afternoon and evening. You can chant “Rudrasthak”. You can go to asylum of your idol. Remedy: Whenever you start any work then you should remembrance god. It protects you from Karma Bhandhan. Will you be ever connected to any Crime?